Choked!, tells the story of pollution in two of the world’s most polluted, yet economically successful, cities: Beijing and New Delhi. Part memoir and part investigative report, Choked! is topical and urgent. Drawing on her experience of living and raising two small children in Delhi, Beijing and Jakarta, author Pallavi Aiyar describes the trajectory of the fight against air pollution, gets expert opinion on assessing poor air quality and how it affects the health, lists the lessons that Delhi can learn from Beijing’s successes and failures, and points out why short-term measures won’t work. Aiyar, a journalist who’s lived and reported from some of the most polluted cities in the world, including Beijing and Jakarta, argues that many countries have been in India’s situation, and India would do well to learn from their experiences. Aiyar’s book is a good example of how one can tackle a complex and statistically-loaded subject...It is simply, yet effectively, argued and blends the personal with the political. 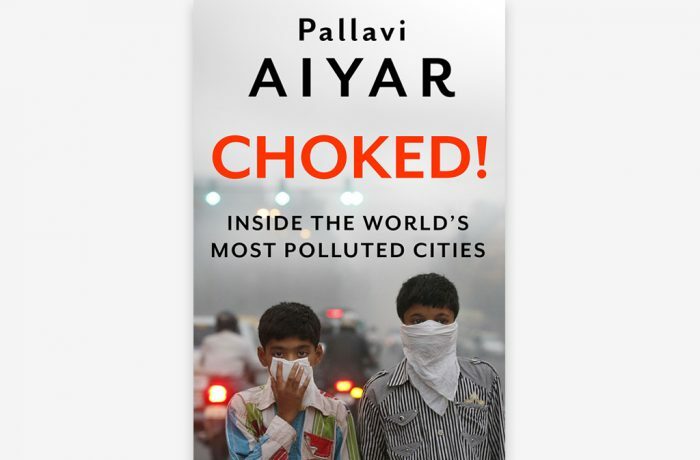 Aiyar’s book makes clear is that ...we need to urgently develop a more panoramic perspective on air pollution in the country – one that moves beyond considering only what the middle class in Delhi feels on the subject. Choked ranked 2 of top ten books in 2016 by the Globalist. Aiyar speaks with authority on the subject...The government and public remain touchy about such criticisms, and Aiyar powerfully conveys the denial and self-delusion that prevail in India’s discourse on the environment.